DELMAR — If you happen to be a neighbor of Delmar resident Matt Tangorre who lives on Huron Road, you have probably wondered why there had been ongoing construction work and a sign that reads “The Future of Heating and Cooling is Right Under Your Feet” on his lawn. Tangorre is having a ground-source heat pump and underground pipes from Dandelion Energy installed which would provide geothermal heating and cooling for his residence. He saw this as a solution to how his furnace has already gone beyond its 20-year lifespan and how he never had an air-conditioning system. 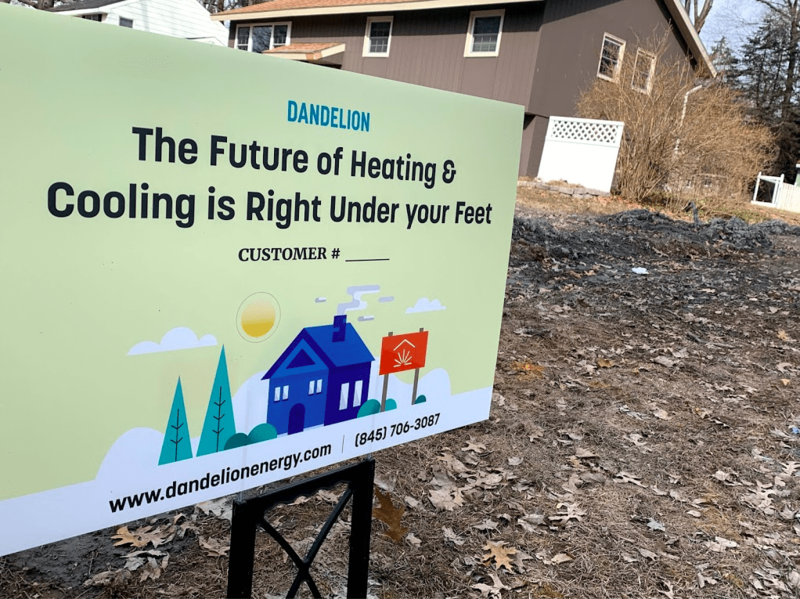 Dandelion Energy, a company that was an offshoot from Google three years ago, has begun expanding its business of providing geothermal heating and cooling systems for residences across the Northeast region. Saying that Dandelion Energy’s products are environmentally-friendly, Tangorre said it has a great return of investment since it requires little maintenance except for a quick filter change once or twice a year, and how its system is said to last over 20 years, more than the standard 15 to 20 years for a furnace. Matthews said it helps to remove the risk of carbon monoxide presence in a household and there will be a monitoring system which provides real-time data on how the heat pump and pipes are functioning. For more information like pricing and warranties, visit dandelionenergy.com.